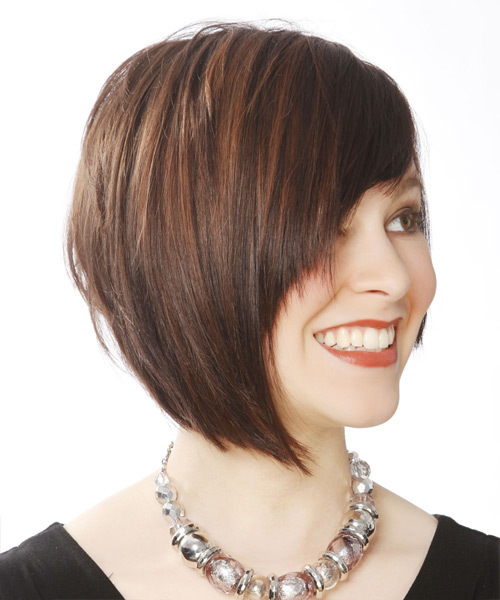 This fancy 'do is cut asymmetrically with one side cut to sit above the jaw-line and the other cut to sit below. 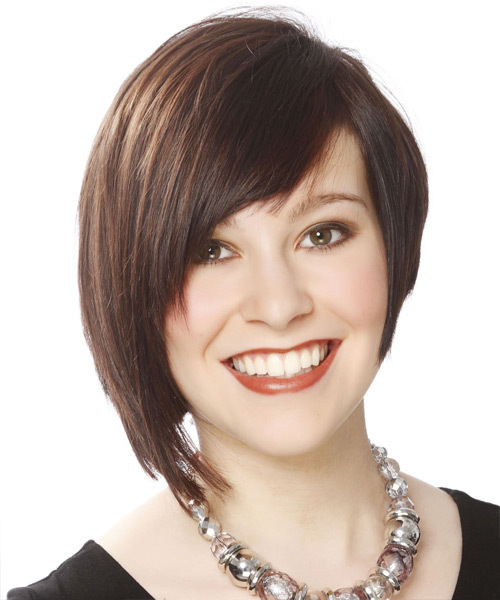 The bangs are jagged cut and blend in beautifully to the side layers and complete the over-all style magnificently. 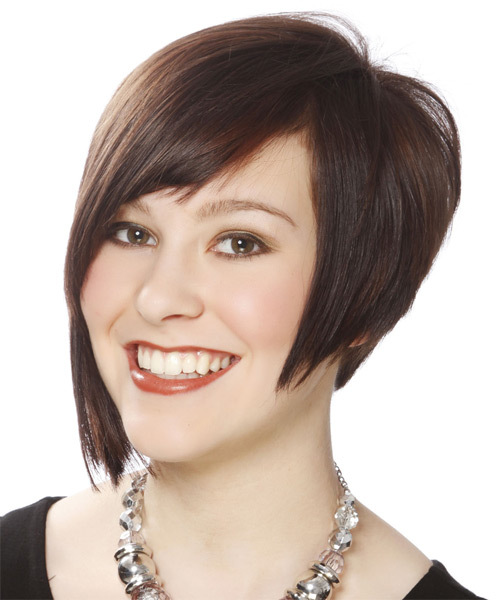 Regular trims every 4- 6 weeks is needed to maintain this shape.